Customer gifts are a great way to keep your name in front of them. 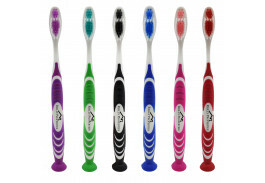 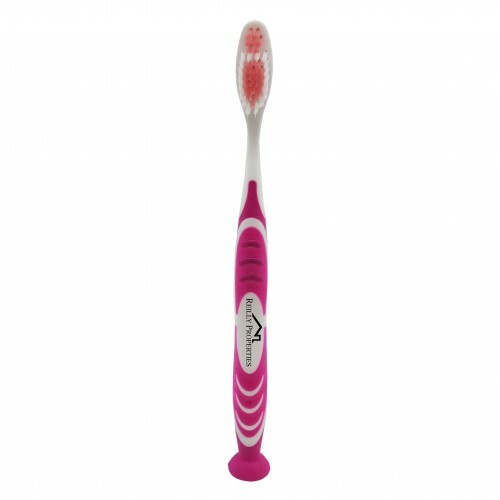 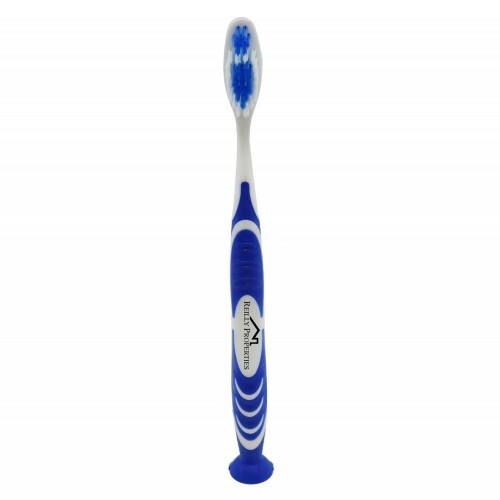 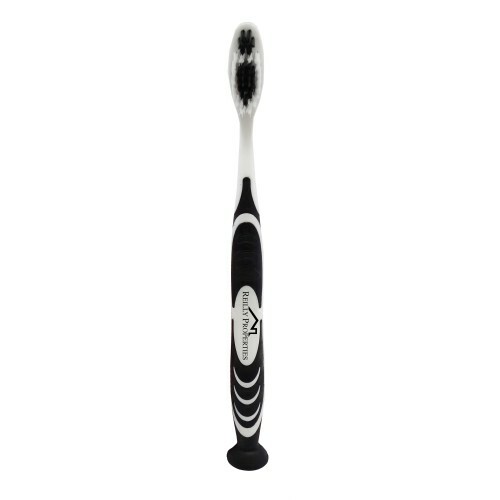 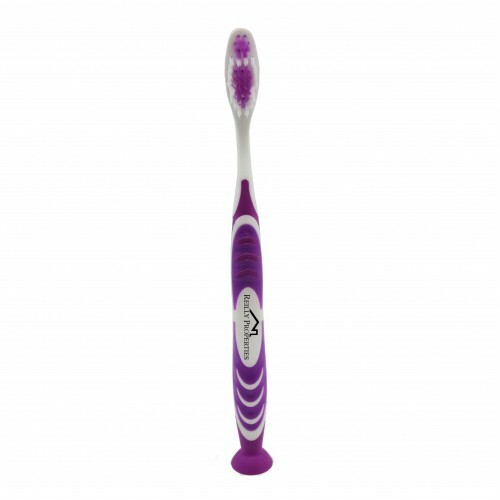 This custom stand-up suction toothbrush has a built-in tongue scraper (nylon-bristle, 610 count at 7mil) and features a unique and convenient suction cup at the bottom. 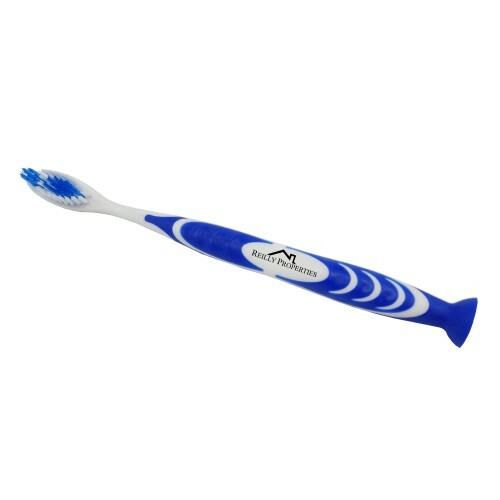 We all know the importance of dental hygiene, so why not help promote proper dental hygiene with a custom suction cup toothbrush. Custom dental products make great customer gifts for dentist and orthodontists, and are a wonderful way to promote your business and keep your name on the minds of your customers. The price includes a one color imprint. 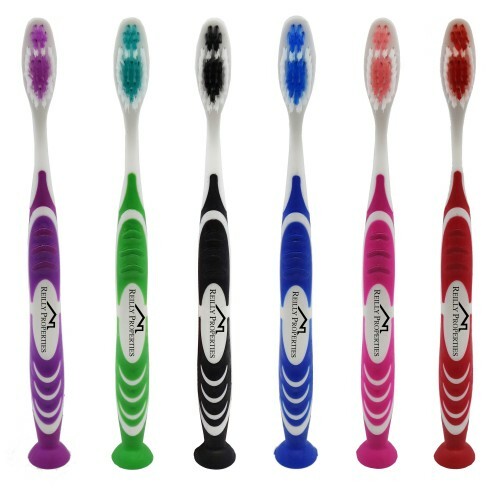 Colors: Black, Blue, Green, Pink, Purple and Red.